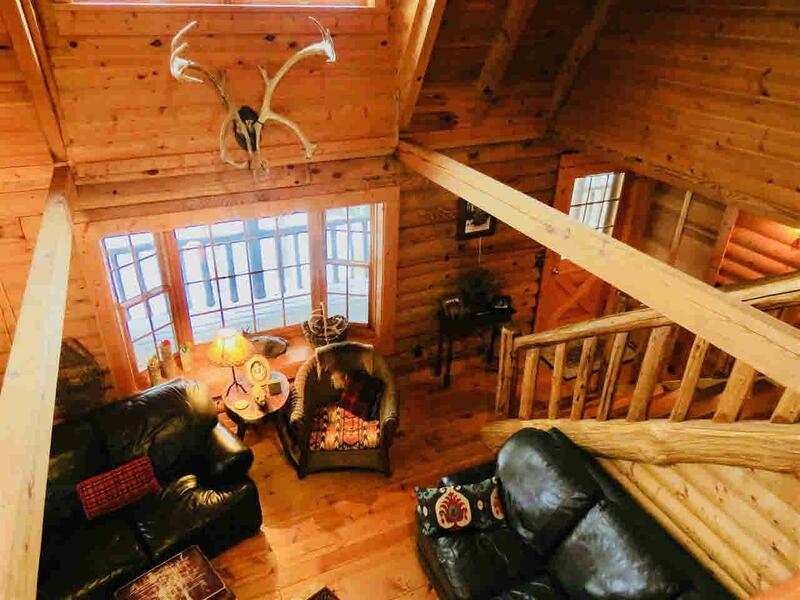 Welcome home to this charming yet stately log home. Perched on top of the old Chimney Corners Ski Hill with breath taking views including those of Crystal Lake. 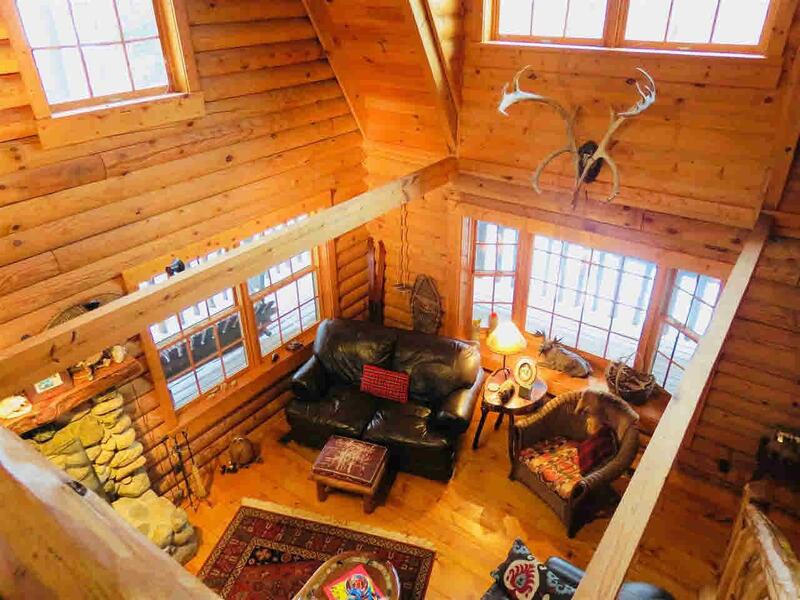 As you make your way up to the top of the mountain you will reach this stunning log home with a wrap around porch nestled amongst the trees and nature. 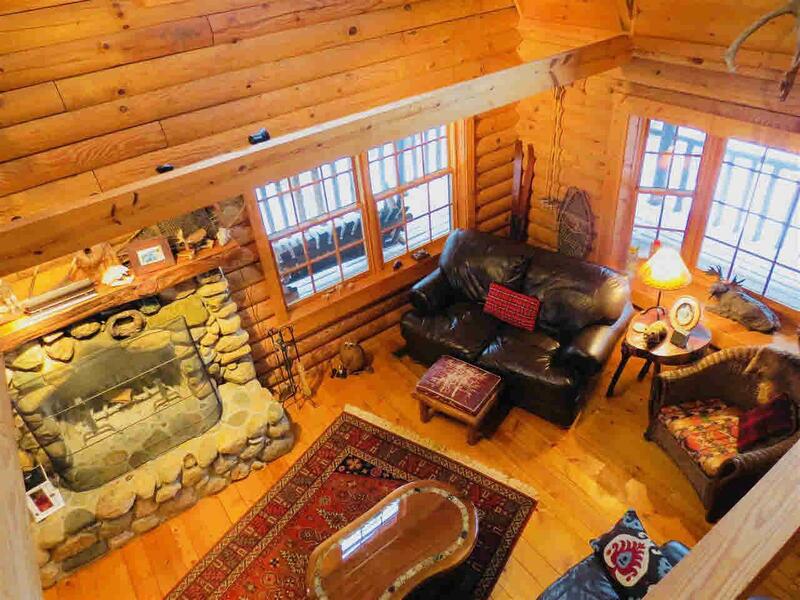 Inside greets you with a natural stone fireplace with stones gathered locally in Petoskey. The great room reaches up two stories. Wide Plank flooring. Dining room with bay window. The open kitchen has a lovely island with Jenn-Air appliances built in. The railings and stairwell are rounded. The first floor master bedroom is a retreat in itself with custom made bed from Jimmy Rogers. The loft overlooks the great room. Hidden door in one bedroom. 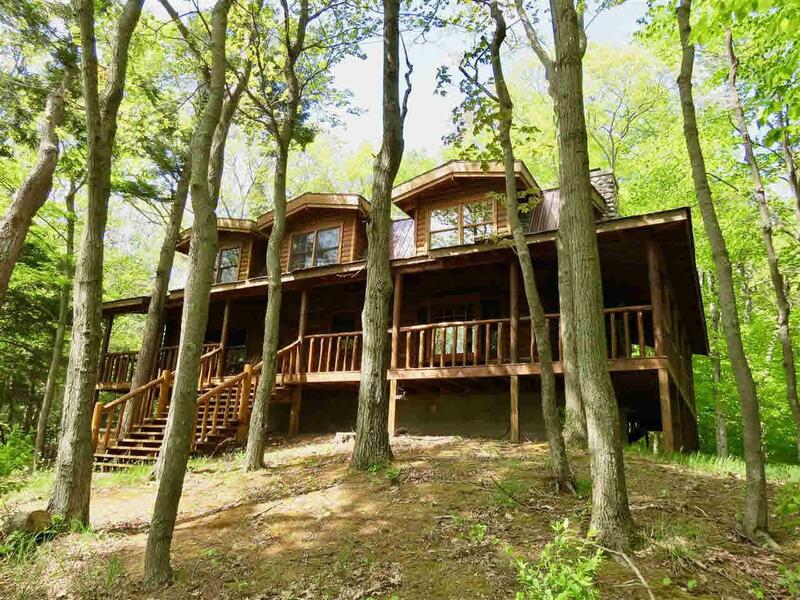 This home comes with deeded access to the main Chimney Corners beach resort. Over 300 feet of Sandy beach on sparkling Crystal Lake with club house, tennis courts all sports lake. Dream come true here.